Nutripharm also provides services to well serving charities who seek help in providing qualified reliable sources of information and seminars. 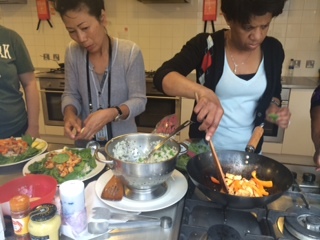 Services have included weekly seminars on healthy eating to teaching those from under privileged backgrounds basic cooking skills that allow those most vulnerable to have the skill and confidence to prepare a meal from start to finish. Please request services to info@nutripharm.co.uk, clearly stating the nature of the charity and a clear brief on services required with timeframes and we will endeavour to accommodate you.